Pictured, from left, Sgt. Travis Shively and Sheriff William Rocky Goshert. 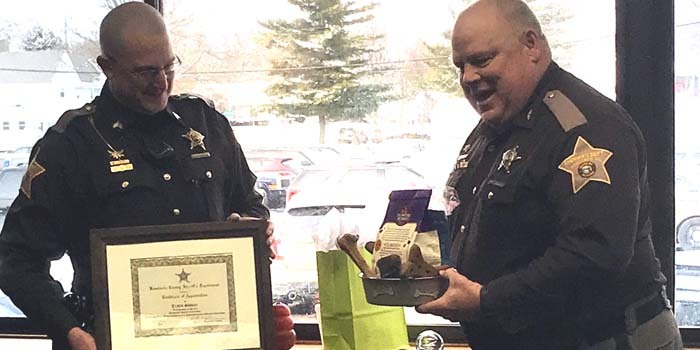 KOSCIUSKO — Sheriff William Rocky Goshert and members of the Kosciusko County Sheriff’s Department recognized K-9 Rex for 10 years of service Monday, Feb. 5. Rex was officially retired from duty during a ceremony with his handler, Sgt. Travis Shively. 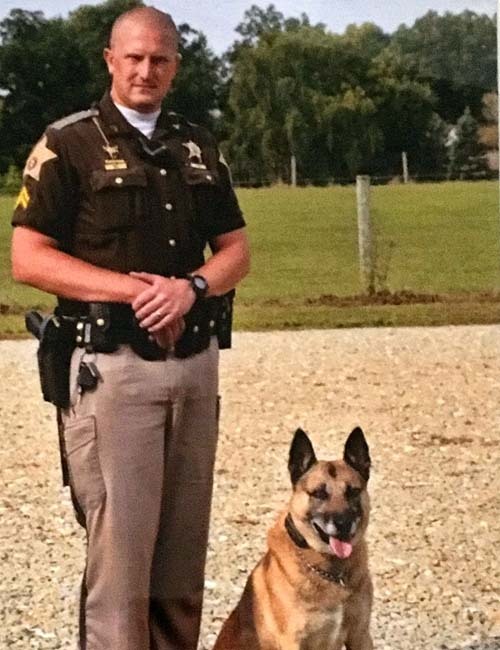 Shively will continue to care for Rex into his retirement after approximately 1200 deployments for the department. Rex aided the KCSD with apprehensions, tracking, drug detection and many public awareness programs over the years. Rex was presented with a care package of treats, and Shively was recognized with an achievement award from the KCSD. Pictured, Sgt. Travis Shively with K-9 Rex.